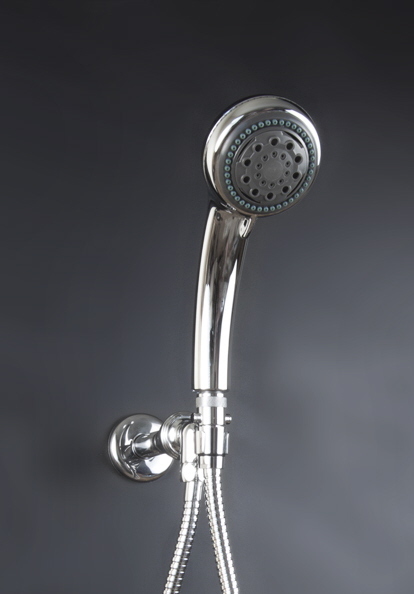 Adjustable 3 Position Shower Head with Pulsating, Full Soft Spray or Hard Stream. 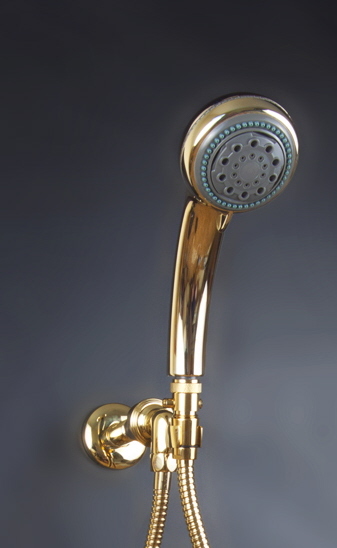 Solid Brass Shower Arm & Flange, shower head, pause control, stainless hose and Thread Sealing tape. 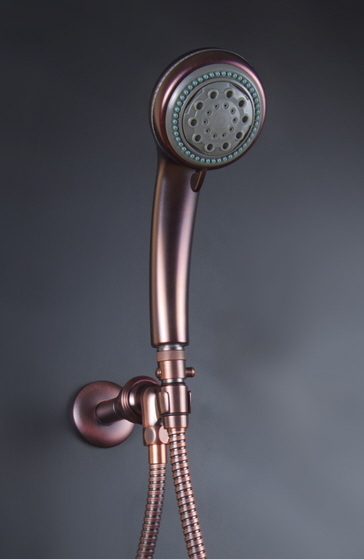 Swivel bracket lets you adjust angle of water, when used as a fixed shower head. 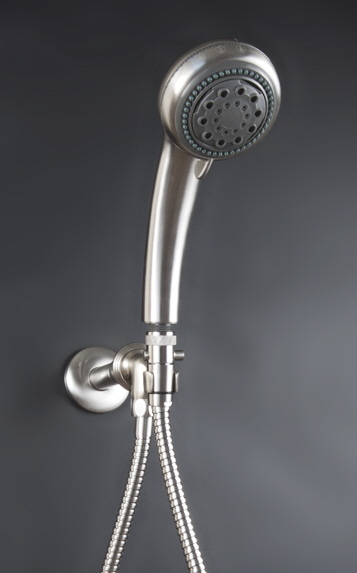 Pause control lets you conveniently pause water flow while soaping up, saving your hot water. hard to find Gold/Polished Brass Finishes.